The 10th annual Women in the World summit was a convening of mighty women leaders, blazing activists and courageous influencers who moved audiences with their provocative first-person storytelling and shook up worldviews. Joining women leaders who never let censorship, patriarchy, or injustice get in the way of their dreams, International icon Priyanka Chopra Jonas joined Oprah Winfrey, Stacey Abrams, Anna Wintour and Brie Larson, Cindy McCain among others at the Summit that marked 10 years of shaping opinions, setting agendas and celebrating women on the front edge of social change. 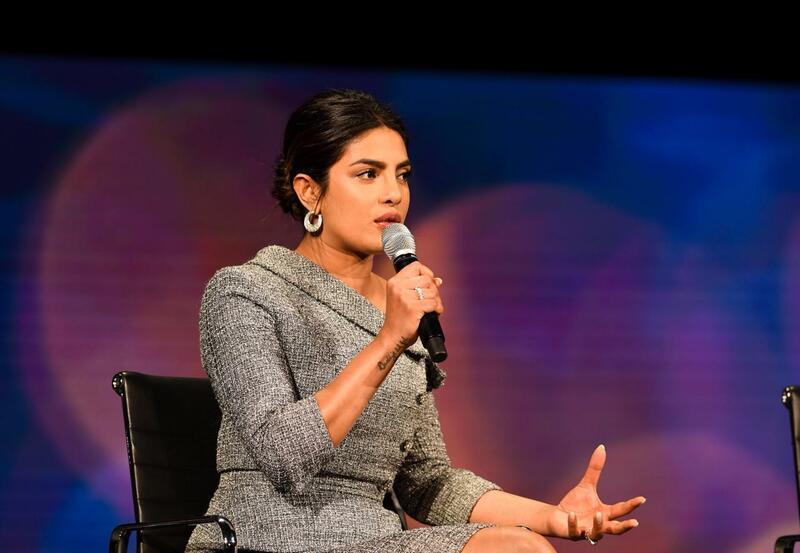 While Oprah Winfrey addressed Feminism and asked this year’s imperative question: “Can women save the world?”, Priyanka Chopra said, “Feminism is all about choices. Every individual woman makes individual choices.Allow your brain to have ideas. Think about how you can make those ideas real, because this is the time when we can do it. Never before in history of mankind have we been able to sit in our homes, have an idea and maybe create into an app and monetize it. You can do anything, anywhere”. Priyanka boasts of a remarkably diverse portfolio – While her production company develops movies across India’s film industries, she continues to work tirelessly as an activist and ambassador for UNICEF and recently turned a tech investor in the women-first social network app, Bumble that empowers women to take control of their futures.